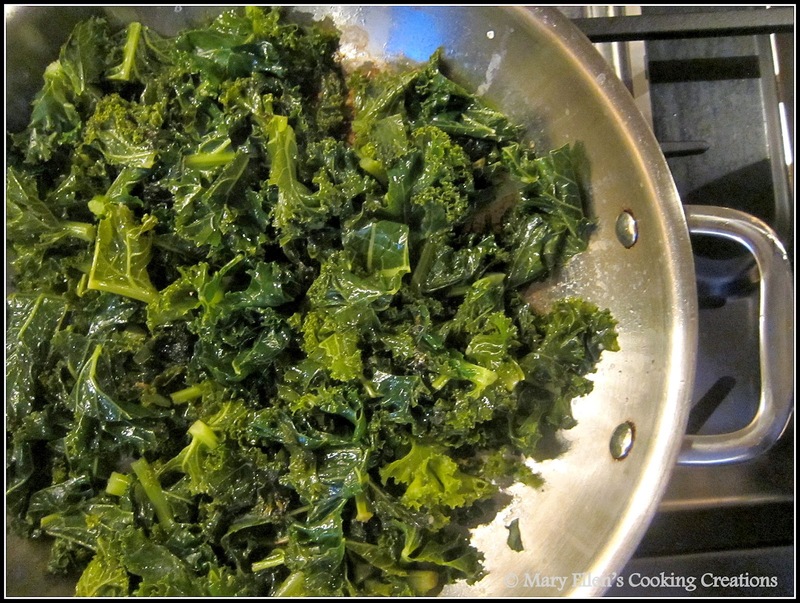 A few weeks ago I used kale in a sausage and pasta dish and loved it so much that I added kale to my menu again the very next day. I made the ultimate southern comfort food, Chicken and Dumplings, and served sautéed kale on the side. 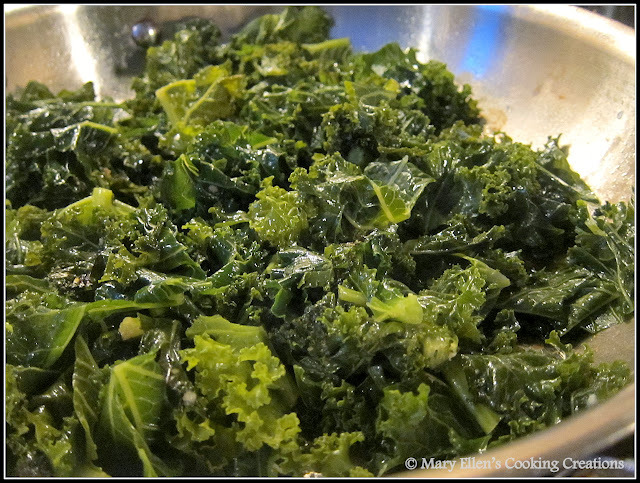 Unlike spinach, my usual go to easy green side, kale doesn't cook down all that much when you wilt it, so you know how much you will be left with after it wilts. I love that it stays somewhat crisp as well. And the best thing is that you just put it in the pan, cover it, and let it wilt for 10-15 minutes - no attention needed! I have made this recipe twice in the past few weeks - once with vegetable broth and once with chicken broth. Jon and I both actually preferred the one cooked with chicken broth, but to keep it vegetarian you can stick with the vegetable broth.